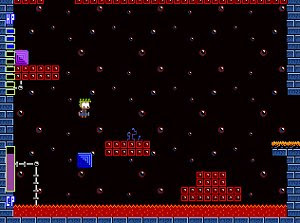 Here is a nice free platformer with retro-styled graphics and a different approach to gameplay. There are no levels in Lyle in Cube Sector and you get to choose where to go and what to confront. The different abilities you gain will help you overcome some difficult tasks. Other similar free games are A Game With a Kitty and Cave Story.